The 126th Annual Meeting of the Japan Forestry Society is scheduled to be held at Faculty of Agriculture, Hokkaido University in Sapporo, Hokkaido. Ahead of the Meeting, we would like to inform you of some important information for the Meeting. Submitted abstracts will be compiled into a booklet to hand out to the Meeting attendees on the day of the Meeting. Therefore, the applicants are requested to submit their abstracts online after completing the registration. The abstracts will also be available on the Meeting website about one month before the Meeting. 1 All fees include consumption tax. 2The registration fees are free for the member and non-member undergraduate students who are not making a presentation, however, the registration is required. Please register at the reception desk on the Meeting day. Undergraduate student members and other student members, including graduate students, who are going to make a presentation, are requested to pay for the registration fees shown above. 3 Undergraduate students as of March 26, 2015. * We invite anyone interested in the Meeting. Please pay the registration fees at the reception desk on the Meeting day to participate in the Meeting. Payment by credit card (Visa, MasterCard) is recommended. Abstracts should be submitted online by January 15, 2015, 17:00. Go to the "Taikai Tokusetsu Page (the Meeting web page)" to submit the abstracts. The abstracts cannot be accepted before the Meeting secretariat confirms the payment of the registration fees. Please keep in mind that the payment via postal transfer will take 7-10 days to be processed. The abstract must be written either in Japanese or English. The length of the abstract should be within the total number of bytes corresponding to 500 two-byte characters or 1000 byte characters (including control characters). (Chart cannot be used.) Please see the entry screen on how to input Greek letters, italics, subscripts and superscripts (Note that any character formatting copied and pasted from the Word document are not reflected). The details how to input these characters will be posted on the website. Please be advised that the abstracts are accepted online only. Change of the title and speaker of the abstract is not allowed after November 20, 2014, 17:00. The abstracts will be compiled into a booklet to hand out to the Meeting attendees and will be posted on the Meeting website about one month before the Meeting. The abstracts will also be publicized in the Meeting presentation database (Japan Science and Technology Information Aggregator, Electronic: J-STAGE). Only LCD projector will be used for the oral presentation. The PCs used in the Meeting are installed Microsoft Power Point Viewer 2010. Therefore, when you create your Power Point presentation, use Power Point 2010 or newer versions. In order to avoid any problems with your presentation, please test your presentation before your presentation with the on-site PC. The poster size for the poster presentation should be AO size (1,188mm high × 841mm wide). Poster title and author's name should be written on the poster. 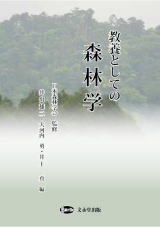 For more details regarding presentations, please see the Meeting program on the Journal of the Japanese Forest Society, Vol.96 (No.1) (scheduled to be issued in February, 2015) or the Meeting website. Free nursery will be provided by the NPO nursery staff during the Meeting, March 26-29, 2015.The service is limited to the attendees of the Meeting. Advance reservation is required for the nursery service. For attendees who wish to apply for the nursery, please contact the secretariat ( ) via e-mail by December 15, 2014 with the following information. The application for presentations and the submission of abstracts can be made through the JFS website [https://www.bunken.org/jfs/conf/login.php]. Details of the procedures and the Meeting information are available on this site. * The training will be held in English. However, questions in Japanese is OK.
* The PC used in the training is Windows 7 (64 bit), a memory with bigger than 4GB, is recommended. Please visit the following for the details and up-dated information regarding this training.